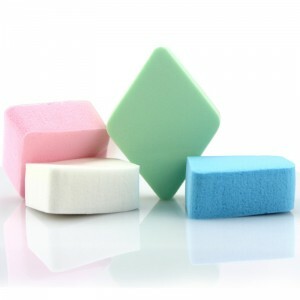 Dental cotton sponges for lip retraction, cleaning the oral field and wiping treatment area. Moisture control cotton sponges. Application Sponges For Sealant Resin - Units: 100 pieces.. These Non-Woven Sponges are perfect for general use. The 4-ply, non-sterile sponge is soft, smooth, .. Sponges Super absorbant cotton-filled & non-woven sponges, non-sterile. NW-2020 2 X 2, non..
General use, Non-sterile, non-woven material. Product Name Non-Woven Ga.. Sponges are ideal for general cleaning, dressing and prepping wounds. 8-ply 5000/Cs .. Pure white, economical option for 8 ply sponges. Shred-resistant and made of 100% cotton filled USP ..
General use, Non-sterile, non-woven material. 2x2 5000/Cs Product Name Non-..
Category Listing Description: • 2” x 2” 8 Ply • Cotton Filled • Case of 5000 Non-Sterile ..
Made of a durable rayon/polyester blended fabric. Quarter-fold design provides minimal cut-edge expo..